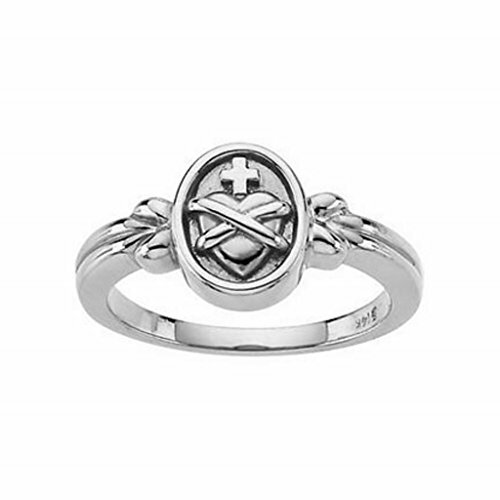 One of our most beautiful Sacred Heart of Jesus Rings! This outstanding ring is available in 14K Yellow Gold and 14K White Gold - sizes 4-9 in .25 size increments. Please allow one week for sizing. This ring has superb detailing and features two finishes to add even more contrast and dimension to the piece. A very high quality ring We carry hundreds of religious medals, rosaries and rings. Please visit our Amazon Store or contact us for more information. Roxx Fine Jewelry (816) 806-5999. If you have any questions about this product by Roxx Fine Jewelry, contact us by completing and submitting the form below. If you are looking for a specif part number, please include it with your message.